A new study from J.D. Power suggests that automakers are investing billions into technologies that a considerable number of drivers aren’t using. J.D. Power’s first 2015 Driver Interactive Vehicle Experience Report found that at least 20 percent of new-vehicle owners have never used 16 of the 33 technology features measured. According to the study, 43 percent of people said they never use in-vehicle concierge services, while 38 percent haven’t used available mobile routers. The study also found that 35 percent of drivers never use automatic parking systems, and 33 percent said they haven’t used head-up displays. For in-vehicle apps, 32 percent of people reported that they have never used them. Such technological features have a brief 30-day window for gaining acceptance among drivers. If owners don’t use certain features during that time, they probably never will, said Renee Stephens, vice president of U.S. automotive quality at J.D. Power, in an interview. Dealerships play a key role in the early stages of ownership. If a dealer doesn’t explain a feature, the study found that owners have a higher likelihood of never using it. In addition, features that aren’t activated when a vehicle is delivered sometimes results in owners not knowing they have the technology. Stephens said the initial enthusiasm people have upon buying a vehicle is one of the reasons that 30-day window is so important. The report is based on responses from more than 4,200 vehicle owners and lessees after 90 days of ownership. The study took place from April to June. The study also looked at features that drivers don’t want. J.D. 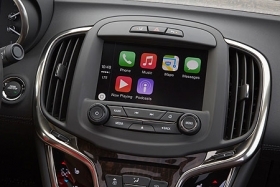 Power says there are 14 features that 20 percent or more of owners could go without in their next vehicles, including Apple CarPlay, Android Auto, in-vehicle concierge services and in-vehicle voice texting. For Gen Y, those born between 1977 and 1994, at least 20 percent of them said there are 23 features that they don’t want. The unwanted technologies are related to entertainment and connectivity, the report says. Why are consumers rejecting certain features? Well-trained dealership staffers who are comfortable with vehicle technologies will continue to be crucial going forward. There’s value in “‘[Apple Inc.’s] Genius Bar’ approach or a tech expert that can help consumers in their own time. Many times as [owners are] picking up the vehicle, they’re just trying to get through the financing part and get out the door,” Stephens said.